Need anything for the 4th? 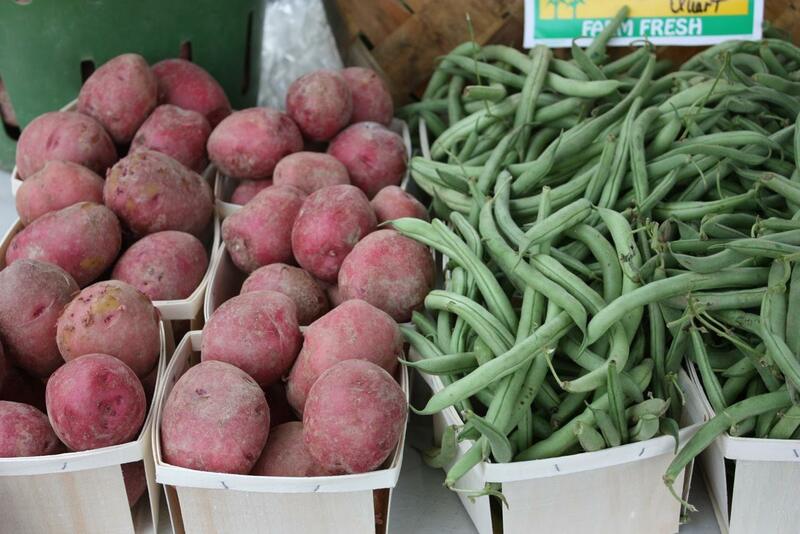 Pick up your 4th of July picnic fare at the farm market this week. There will be plenty of goodies to plan your menu around: blueberries from North Oaks Farm, local farm-raised chicken and other meats from Back Acres Farm, greens from Our Harvest, just for starters. Ever try throwing veggies on the grill? Zucchini are in, and here’s a great way to use them: Cut 3 medium zucchini into 1/2 inch slices, brush with olive oil and sprinkle both sides with minced garlic, oregano, rosemary, salt, and pepper. Grill until zucchini is tender, about 4 minutes per side. Yum! Princess Janice will be back with books, crafts and snacks for the kids from 3:30 – 4:30. Farm market favorite Dan Erdman will entertain us with his music starting at 5:00. Dan’s audiences connect to the joy and creativity of his music. Some songs are simply fun, while others are thought provoking and inspirational. Dan creates music in many genres: folk, rock, jazz, country, and songs for children. Enjoy a pulled pork sandwich and cold drink from Aunt Flora while listening, or a delicious smoothie from Fresh Express. They feature a special smoothie every week. A representative from Moms’ Clean Air Force Cincinnati will be at the market this week. Jamie Petroff will pass out information, answer questions, and give folks the opportunity to fill out postcards to send to our legislators. Moms’ Clean Air Force is a national children’s health nonprofit calling for action on air pollution and climate change. The College Hill Farm Market’s hours are 3:00 to 6:30 each Thursday. We are located in the College Hill Presbyterian Church parking lot at 5742 Hamilton Ave. To use an EBT and credit card, visit the Farm Market table. Produce Perks available there, too! This entry was posted in News and tagged 4th of July, Aunt Flora, Back Acres Farm, blueberries, College Hill, College Hill Farm Market, College Hill Presbyterian Church, CSA, farmers' market, Fresh Express, Grandola Granola, Llanfair Retirement Community, local farm, local food, Moms' Clean Air Force, Our Harvest, Produce Perks, Twin Towers, Village Green by College Hill Farm Market. Bookmark the permalink.